Happy Tuesday, party peeps! 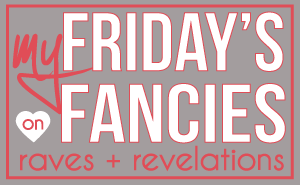 I totally forgot to post my Friday's Fancies last week. I was whirring around trying to get some stuff done before hitting the road to Iowa for one of my best friends' wedding. But, I can't just let a good outfit go to waste. (And I don't have time to write anything else today.) So here you are: My leaf-inspired outfit. Totes cute if I do say so myself. I took a literal approach, while it looks like many of you used the amazing colors of leaves as inspiration. To each his own! The ring and the skirt are my faves. Which ones are yours? I LOVE the skirt! It's perfect for fall and pretty, too!